Aside from eating your fruits and vegetables, you can also take them as juice and nourish your body with same nutritional benefits. 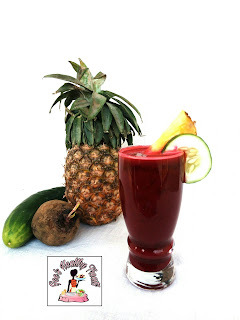 Today am sharing with you all this yummy and nutritious juice I made some day ago in my kitchen and I call it "Beetroot Fruit and Vegetable Mix Juice". It very easy to make and requires little or no effort but before making the recipe and procedure known, I will first like to share the health benefit of each ingredients. Beetroot helps prevent heart diseases. Enhances the healing of wounds. Beetroot is a natural colon cleanser. 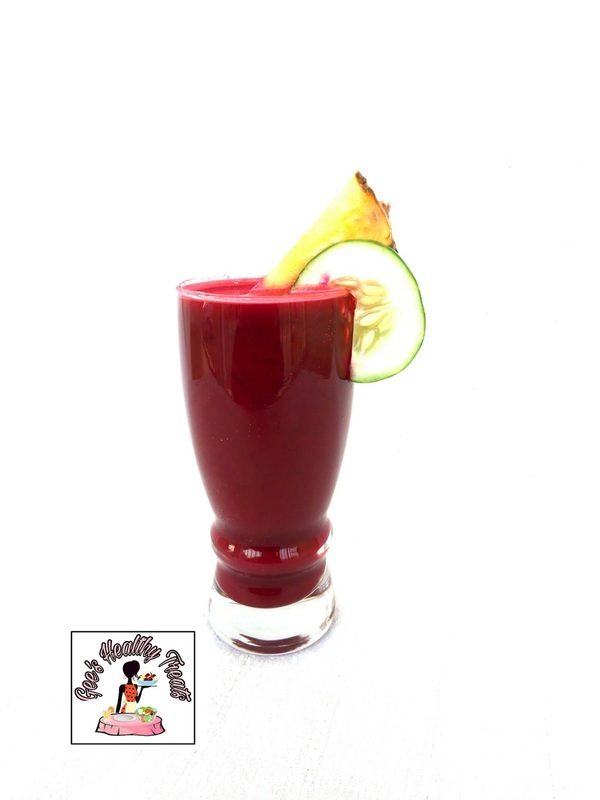 Beetroot is rich in fiber, vitamin B&C, magnesium, iron, copper and phosphorous. The consumption of cucumber promotes and aids weight loss. Relieve gout and arthritis pain. Cucumber is a natural diuretic which helps in treating heart failures, liver disease and even kidney disease. Pineapple boost the immune system. Provides healthy gums and strong bones. Relieves nausea and joint pains. Reduces the risk of muscular degeneration. 2 cups of chopped Pineapple. Cut beetroots into 2 inch sizes. Throw all ingredients in a juicer and juice. yep, its that easy.